Crocodiles are crafty, monkeys are mischievous. 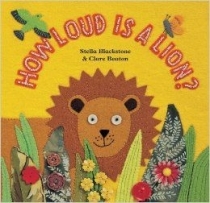 But how loud is a lion? A crowd of colourful African creatures caper through this entertaining book, but none can compete with the terrifying roar of a lion!